I love simple and easy desserts during the summer; no muss, no fuss, and nothing too heavy. Two of my favorites are angel food cake with strawberries and whipped cream, and pound cake with fruit and ice cream. Over the weekend, I got a craving for pound cake… plain, unadulterated pound cake. I turned to this recipe, and I was completely thrilled to discover its fabulousness. This pound cake is incredibly moist and dense, and without any additional flavors, the slight tang of the cream cheese is a subtle background flavor, that pairs perfectly with just about anything. This is fantastic topped with a simple dusting of powdered sugar, with fruit, whipped cream, ice cream… seriously, anything! My favorite thing about making this cake is picking off the crusty top when it first comes out of the oven. So good and so irresistible! 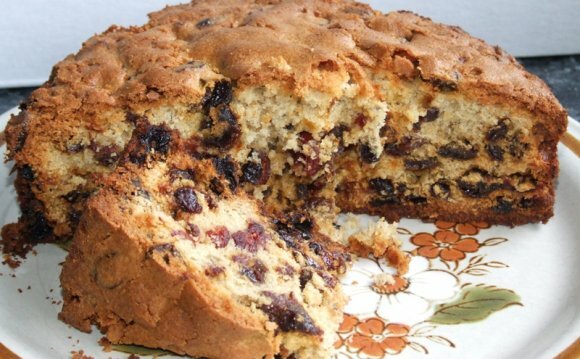 If you need an easy summer dessert that doesn’t take too long to mix together and is the perfect accompaniment to in-season fruit, this cake is our answer. 1. Preheat oven to 325 degrees F. Grease and flour a standard-size 12-cup Bundt pan. 2. Using an electric mixer, beat the cream cheese and butter on medium speed until combined and soft, about 2 minutes. Add the sugar continue to beat on medium speed, scraping the bowl once or twice, until the mixture is very light and fluffy, about 5 minutes. Add the eggs one at a time, beating until each one is completely incorporated before adding the next. Scrape down the sides of the bowl, reduce the speed to low, and gradually add the flour until it has all been combined. Add the vanilla extract and salt and mix on low speed until incorporated, about 1 minute.